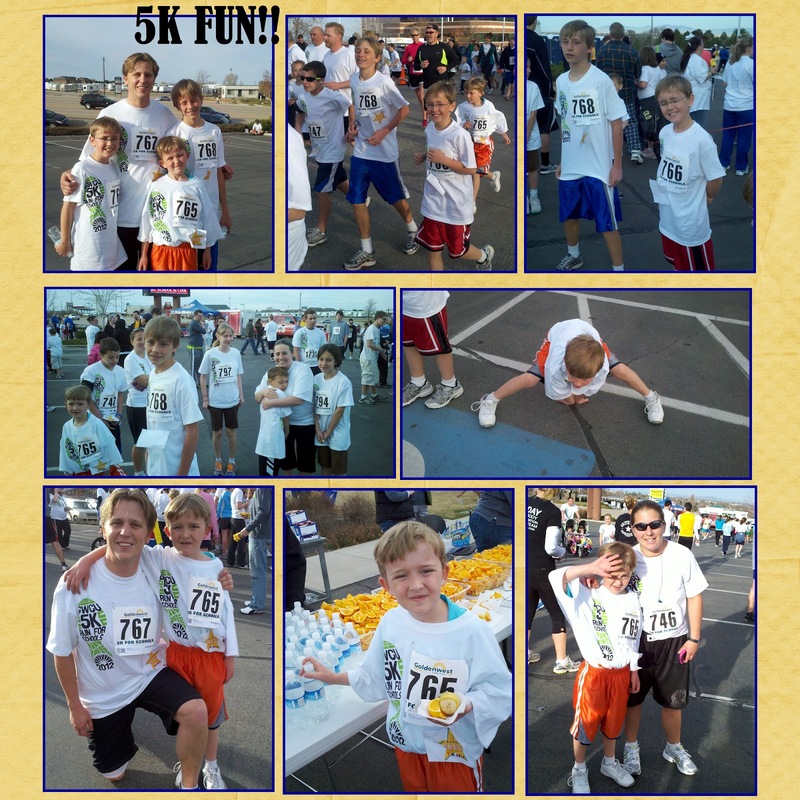 Boytrapped - The Story of the Statens: 5K Fun! 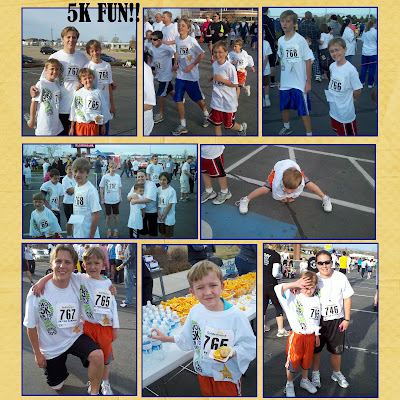 This morning while I was waiting in line for ReAL tickets Mike, Tyler, Matt and Isaac ran the Golden West Credit Union 5k. Mary thankfully watched the other 2:) . I was a little nervous about Isaac. The others all wanted to run the whole thing and I didn't know if Isaac could do it. Well, he totally showed me I was wrong! He ran it in 28 minutes!!! He rocked it! The others came in about 2 minutes faster and I'm so proud of them too.....but I really didn't expect that from my 8 year old! I am so amazed at the way my kids have learned how to push themselves. Way to go guys!! !